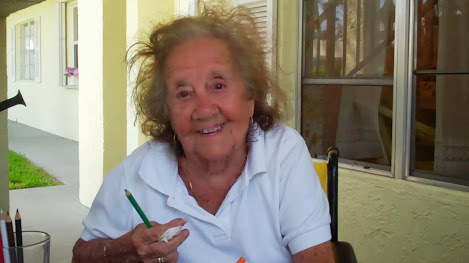 Dotty is 94 years old and lives with Alzheimer's disease. When you watch this short 3 minute video, you'll notice that Dotty continuously says No she doesn't want to go to the pool. You'll also see her go to the pool without any real cajoling or resistance. This is a common occurrence with persons that have Alzheimer's disease. Alzheimer's patients frequently say, NO. They say No to just about anything that requires them to move out of their safe, secure environment. You will notice a nice transition at the end in Dotty as the video moves along.